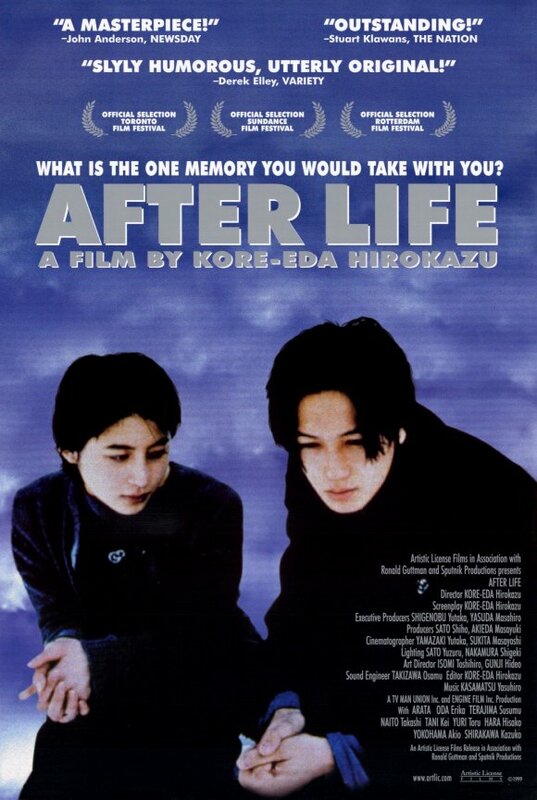 AFTER LIFE is the second feature film from Japanese writer and director Hirokazu Kore-eda. Before features, he worked in documentaries, and that experience, that interest in real human beings and their thoughts and feelings, shows in this film. AFTER LIFE is set in a kind of business-like purgatory, where people who have recently died are asked to choose their happiest memory from life. Then, the people running the place put together a dramatic re-creation of that memory, and after watching the result, the dead are able to head on into eternity, taking that memory with them. The story focuses equally on the dead and the ones who work to their benefit. Obviously, what’s most striking about AFTER LIFE, considering its subject matter, is its humility, its small scale, its lack of high drama. There are no angels flying around on feathery wings, no demons or hellfire. Everyone in this movie looks like a person you could meet. Almost every story told is one you could relate to. AFTER LIFE has a rare sweetness, a genuine spirituality. Sure, we’re talking about notions of Heaven here, but you don’t have to buy into one ethos or another to appreciate this film. This is the kind of spirituality that could and maybe should be universal. For the more philosophically minded, there’s plenty for you also. As the trailer asks, “What is the one memory you would take with you?” What a lovely question for a film to consider, and to ask its audience to consider. AFTER LIFE is almost unique in its lack of conflict; its primary mode is reflective. There aren’t galvanic performances or sweeping visual flourishes here. The modest look of the film suits it well. A lot can be said with a little. Many movies want to shake the ground you stand on, to make your eyes widen and make your mind melt. This one has the feeling of sitting on a park bench by a duck pond in the spring, a loved one by your side, or in your thoughts. There is serenity here. 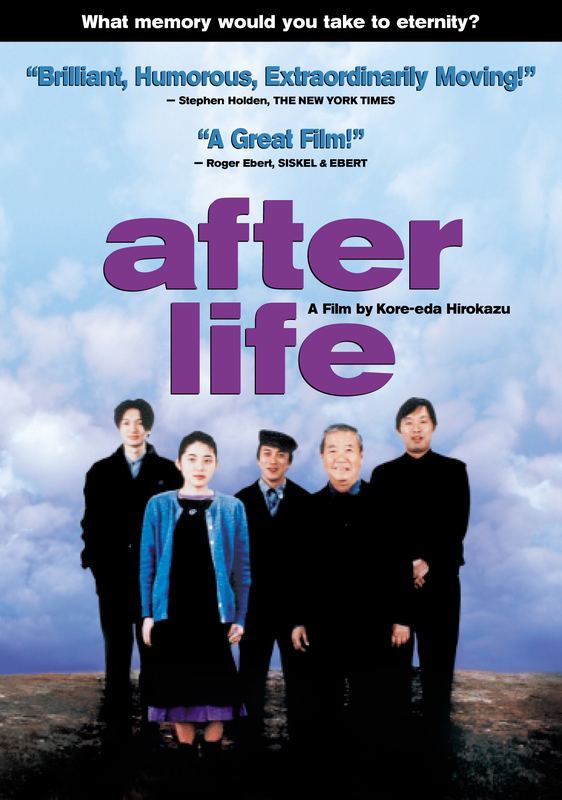 The Japan Society is screening AFTER LIFE tonight. I recommend attending, if you’re able. On The Daily Grindhouse Podcast: GHOSTHOUSE! On The Daily Grindhouse Podcast: THRILLER: A CRUEL PICTURE!